I remember a couple years ago, one of my close friends posted pictures online of her self-inflicted cuts. I lived in a different state than her, and when I tried to talk to her about it, she wouldn't listen to me. And so I found her college friends on Facebook and told them what was going on. And they told her mother. I can tell you right now that, at the time, she wasn't very happy with me. And we didn't talk for a while after that. But do I regret it? Definitely not. 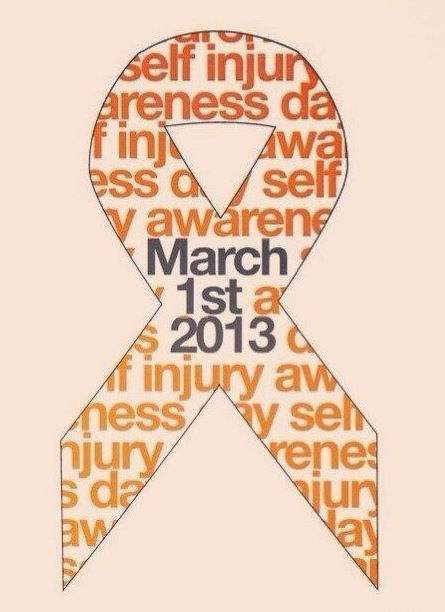 I share this story because today is self-injury awareness day. 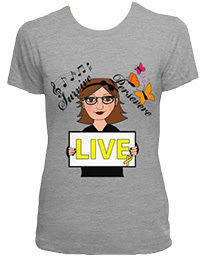 To Write Love On Her Arms, a nonprofit dedicated to helping those struggling with depression, said many people self-injure by means of cutting, burning, picking or interfering with wound healing and bruising or breaking bones, among other things. 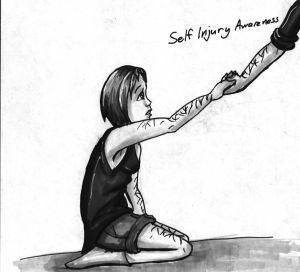 I think people don't realize how common self injury is. To Write Love on Her Arms estimates that 4 percent of the population struggles with self-injury. Mental Health America estimates that “about two million people in the U.S. injure themselves in some way.” I personally know nine people who have injured themselves either by cutting, burning with a curling iron, hitting themselves or poking themselves with needles. And that's just friends who have told me about it. I have no idea if there are people in my life who have dealt with this who hid it. I know some people's first reaction when they hear about self-injury is "Ew!" or "Why would someone do that to themselves? Are they crazy!" The sad truth is people hurt themselves because the pain of breaking through flesh actually hurts less than what's going on inside. People who have struggled with self-injury have told me that when they hurt themselves, it either a) gives a physical representation of their pain or b) makes them forget about the much stronger pain inside of them. And that makes me so sad to think that they are hurting so badly inside that cutting or burning themselves actually feels better. Don't close your eyes to this very real problem affecting millions of people. If you see the signs of self-injury on someone you love — no, they're not trying to get attention. That's a stereotype that's just not true. Even if they don't realize it at the time, they are screaming inside for someone to help, for someone to take notice. One woman I know said that some tactics she used to stop cutting herself was to scribble red onto a piece of paper whenever she felt the urge to cut, pinch herself instead of cutting or paint her nails red (by the time her nails dried, she said the urge to injure herself had passed). And, slowly but surely, the times she cut herself got less and less until she stopped altogether. I want to emphasize how dangerous self-injury is. I know a man who died after cutting his arms. His family who found his body could see that he had tried to stop the bleeding...but it didn't work. If you know someone who is injuring themselves, do not keep it to yourself or turn a blind eye. Talk to them or tell someone else (someone who you can trust not to judge them). Having someone just to talk to about it does wonders for someone who feels completely alone.